Marketing does not stop after your insurance marketing campaign has been launched. Developing a comprehensive strategy that uses a variety of marketing techniques to increase lead generation is only the first step. 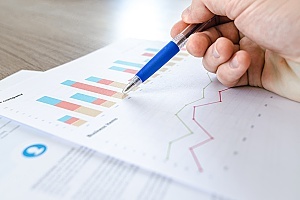 It is also important to monitor the effectiveness of those marketing techniques by collecting data and analyzing it to find out how your marketing plan can be improved. Insurance marketing services from professional digital marketing agencies often include data analyzation, which helps your insurance agency grow faster and reach new potential customers over time by consistently optimizing your campaign. Read more about insurance marketing services and how they can dramatically increase the number of clients for your insurance agency. One major benefit is the ability to track leads. Lead generation is an important metric that allows marketing agencies to track the amount of monthly client leads your insurance agency receives, determine where the leads came from, and help determine what might be affecting the number of leads generated. Tracking leads can help the agency understand how to better market to your desired audience, and help clients looking for insurance services find your agency. Data can also help your insurance agency gain greater insight into customer behavior. You may be able to determine whether customers are responding to your calls to action effectively or whether your marketing efforts are impacting their purchasing decisions. Understanding customer behavior can help your insurance agency redesign its calls to action and points of interaction with customers. This helps create stronger connections and shows customers that your agency cares about making their experience – whether as a website visitor or as a client – pleasant and easy. 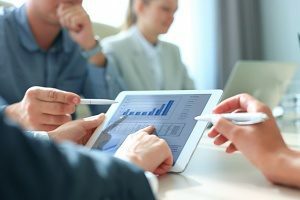 Analytics can also allow your insurance agency to track psychographics, the classification of people according to their attitudes, aspirations, and behaviors. This can allow you to create a more customized experience for site users, which can improve conversions. By determining how certain types of customers tend to behave, your agency can provide them with unique offers tailored to their needs. Furthermore, by anticipating what your readers will want to see when they visit your insurance website, you can create content that reflects their interests, goals and experience. This can dramatically improve your website traffic, with more users eager to use your site to navigate the often-confusing insurance world. 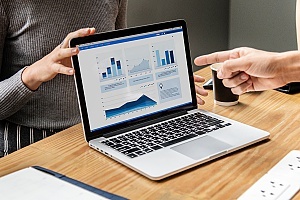 Paying attention to the results coming from each of your marketing channels can also help your insurance agency make smarter financial decisions. You may realize that the return on investment for content marketing is high, while social media marketing seems to be attracting fewer new clients. Understanding which channels are the most effective can help your digital marketing agency make decisions regarding what to change in order to make each marketing channel as effective as possible for your insurance agency. To reiterate, collecting and analyzing data helps your insurance agency get a closer, more comprehensive look at how website visitors are interacting with your website and how your marketing decisions are affecting their behavior. Using this data effectively means that your agency will be able to tailor its marketing efforts to your customer base, providing a more customized experience that will likely increase lead generation. Moreover, by focusing on creating a better customer experience based on analytics, your insurance agency shows customers that it cares deeply about their personal needs rather than seeing them simply as another opportunity to make money. This connection can promote customer loyalty, allowing your insurance agency to not only retain customers but potentially gain new ones through referrals. People are generally more likely to trust a recommendation that comes from a friend or family member than a recommendation from an ad or a stranger, making customer loyalty a key method of increasing your client base. Analytics can also help you understand what customers are seeking when it comes to choosing an insurance provider. This makes it easier for your agency to provide the services or information potential customers are specifically searching for. For example, if people are finding your website because they are looking for information about renters insurance, writing more website content that focuses on various facets of that type of insurance can reflect that your agency is proficient at helping people with their renters’ insurance needs. This may give them the confidence they need to purchase that service from your agency. Finally, using data analytics can ultimately result in a more effective marketing strategy. You may realize after several months of using social media marketing that your insurance agency is not reaching the customers it would like to reach. Your digital marketing agency can then change the platforms on which it is marketing your services, change the message, or choose to focus its efforts on different types of marketing to increase lead generation. Focusing marketing efforts on the most effective techniques help create a stronger marketing plan that is better designed to speak directly to a specific audience. Marketing to this smaller segment is likely to result in more people acquiring your policies than choosing to speak to a wider range of people. 321 Web Marketing is a Northern Virginia-based insurance marketing agency that works with insurance companies of all sizes to develop effective, results-oriented marketing campaigns tailored to each client’s needs and audience. We will monitor the effectiveness of your campaigns, track their performance, and use the data to improve your lead generation over time. With our effective insurance marketing services, 321 Web Marketing aims to deliver a consistent, daily stream of qualified leads to clients within six months of launching a new campaign. Contact 321 Web Marketing today to schedule an insurance marketing services consultation, or click here to view an example of how we were able to transform an insurance agency’s book of clients.